Ilana Altman is a cultural planner and designer who has a background in art and architecture. In her role as Director of Programming she works with the community to implement innovative and engaging programming, revealing new possibilities for public space. Prior to joining The Bentway team, Ilana worked for a number of notable design firms including Studio Daniel Libeskind and Diller Scofidio + Renfro in New York and KPMB Architects in Toronto. She has led the curation and design of exhibitions and installations at the SFMOMA, the Museum of Arts and Design in New York, and the Art Gallery of Ontario. Additionally, she has worked closely with artists to realize public art installations for Toronto’s Nuit Blanche. In 2014 Ilana founded the Artful City, a Toronto collective that aims to advance public art research, policies, and imaginations. Additionally, Ilana founded and served as the Executive Director of the Pavilion Project from 2015-2017. The Bentway is a unique and innovative public space that transforms 1.75km underneath Toronto’s Gardiner Expressway into a new gathering place for our city’s growing population. With space at a premium in dense urban environments, making room for public gathering places is an urgent and growing need. 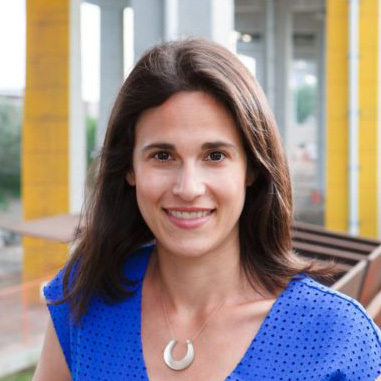 Ilana will discuss the importance of places like The Bentway and the role they serve in Toronto's public landscape. Her presentation will provide an overview of the planning process and the programming goals driving this ambitious urban project. Additionally, she will discuss the growing demand for programming in the public sphere that can both unite communities and inform future development. Ilana will share initial learnings from the Bentway’s inaugural season while previewing plans for the next phase of development.